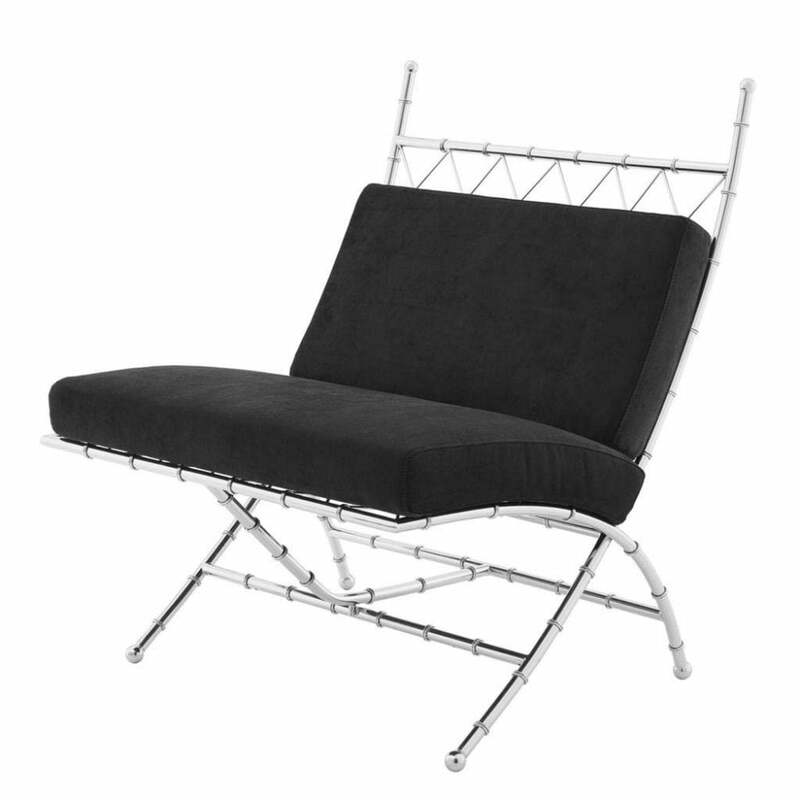 The Ottanio Folding Chair by Eichholtz presents a modern update to traditional cane furniture designs. Crafted with a clever folding mechanism, this boutique piece is ideal for smaller spaces, as it can be folded away when not needed. Featuring a deep seat and padded backrest, Otannio is upholstered in a luxurious black velvet. Complemented by metal framework and lattice detailing, choose from either a polished stainless steel or gold finish. Bring a touch of glamour to a contemporary living room scheme or to a rental property to add character and personality to the space. Get in touch with our team for more information and advice.